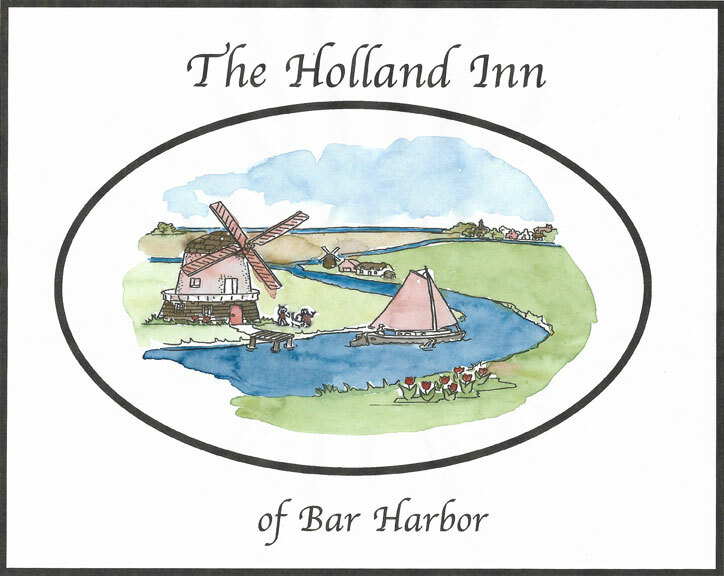 Every morning of your stay, breakfast at the Holland Inn is different. We serve a full gourmet breakfast, consisting of foods you recognize and are familiar with, but put together in a unique way, using fresh fruits, herbs and a gourmet flare. Have a lot or have a little, there is always a portion for all sizes. Evin also caters to any special diet requests. The relaxed atmosphere on the bright sunporch lends itself to conversation. Guests sit at their own tables of two, and often share about experiences in the area, therefore enriching their day. If sharing is not your thing, it is no problem to keep to yourself too. Evin tries to spend some of this time informing everyone about events, the park and the village, and answering questions guests may have. Often, questions are answered about whale watching, kayak tours, bike rentals, shopping, historical interests, you name it. If Evin doesn't have immediate information, she will help you find it. And when silence overtakes the crowd.....Evin, Simon, Benjamin or a friend or guest always comes up with something to break the ice! The menu changes everyday, and Evin does her best not to serve the same thing twice unless requested. The goal in the morning is to provide a nutritious and well balanced meal that will last you through the day. Most special diet requests are served same as below with their requested substitutions.